A policy paper by Mi Zhen-yu, Former Vice President, Academy of Military Science, Doctoral tutor, Lieutenant General; National People’s Representative of the 8th National People’s Congress, Committee member of the 9th National People’s Political Consultancy Committee, strongly condemns the use of genetically modified organisms and points out the considerable health risk to the public; commenting on China’s overall deteriorating health. The paper emphasizes the harm associated with glyphosate, the leading herbicide produced by Monsanto, and the harm associated with importing genetically modified found up resistant soy. China has a strong soybean export and import history. Before 1994, China was a net export nation of soybeans. Since 1995, China began to import soybeans. Thereafter, the import volume began to rapidly rise. In 2010, the import volume reached 50 million tons; in 2013, China imported 63.38 million tons of genetically modified soybeans, accounting for 80% of China’s soybean market. The Xinmin Evening News reported on Nov. 22, 2011, that the rate of precocious puberty in Chinese girls has increased 10-fold in the past 10 years. The first “The Public health white paper” issued by the Beijing Municipal Government in 2010 revealed that Type II diabetes has increased 11.7 times. The number of children confirmed with autism has increased 100 times during the past 20 years; during recent years, the prevalence of childhood cancer is increasing, on average there is one cancer patient for each 10,000 children. Among juvenile cancer patients, leukemia, brain tumor, malignant lymphoma and neuroblastoma are the top 4 causes. A “2012 Chinese male sperm quality survey white paper” published by the China Population Association specified that the total amount of infertility patients in China already exceed 50 million, accounting for 15.6% of the child-bearing age population. This number 10 years ago in 2002 was 8%, and 20 years ago in 1972 was 3%, 40 years ago during the 70s infertility patients were not more than 1%. The prevalence of Parkinson’s patients in China has increased over 20 times during the last 20 years. The rate of cardiovascular disease has exceeded 13%; and the percentage of people with chronic kidney disease has reached 10%. 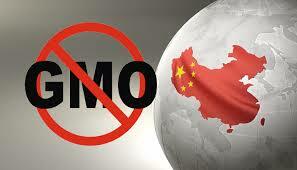 Citing the precautionary principle and the unknown consequences of long term genetically modified (GM) use the author strongly urges for the use of long term epidemiological studies and the adoption of recommendations that protect the health and safety of the Chinese people. ← Women need to exercise over the age of thirty to decrease risk of heart attack. Fudge: see http://genpeace.blogspot.com.br/2014/05/google-based-translation-of-china.html for a complete rebuttal of this story.